Today was a complete strike in High Court, Chandigarh with all lawyers from topmost to juniormost striking work. Yet, Piyush Heights buyers took lawyer practising in Delhi to Chandigarh for representing case. Congratulations, everyone ! Builder will now be hard pressed to complete the project as soon as possible. Good news Dheeraj Ji. Thanx to all GFWA members for their collective efforts. Please find attached news covergae by Amar Ujala. Faridabad local Media has always been supportive of efforts made by buyers and sincere thanks from our hearts. Can something similar be done about BPTP as well so that villa owners get their villas ASAP. BPTP has taken 100% money including stamp duty etc six months back but has not delivered the villas till date. We are waiting for our Villas from last 7-8 years. Conditional release on bail withelding passports, seams to be a partial relief for Piyush Group only to give full opportunity to prove themselves committed for completion of the project in 3 months. If I am not wrong, FIR no 214 dt.13.09.12 is still in place and can be closed only after due hearings and decision in CJM court. Probably GFWA legel team may educate us about its status. sukeshmainra wrote: Can something similar be done about BPTP as well so that villa owners get their villas ASAP. BPTP has taken 100% money including stamp duty etc six months back but has not delivered the villas till date. We are waiting for our Villas from last 7-8 years. I understand with the help of some of your advocate friend you have to first ensure against what sections of the IPC, BPTP is criminaly guilty with reference to BBA & HUDA Act. If they are also found guilty then similar way a FIR may also be lodged by you or by your RAW. this is really a great news. Now atleast there is some time line for piyush group directors and we cal also hope for completion of project. But pressure should be kept on and no relaxation in time should be allowed. I highly appreciate forums efforts. anuj020676 wrote: Conditional release on bail withelding passports, seams to be a partial relief for Piyush Group only to give full opportunity to prove themselves committed for completion of the project in 3 months. If I am not wrong, FIR no 214 dt.13.09.12 is still in place and can be closed only after due hearings and decision in CJM court. Probably GFWA legel team may educate us about its status. Cheers!! Amazing job all the active members of Piyush Heights Group, Kudos for the excellent work done. You have really moved the things. Never seen such an order. Really great. I wish if we could have such a order against HUDA in ongoing case where we can have time bound development. Well the Undertaking given by Piyush Group to complete the Project within 3 Months sounds really good but does not really sound realistic if we look at the ground realities. Only F G H towers are in position to be be handed over to the respective buyers but a lot to be done in rest of the towers. It will be interesting to see how things gets moved on after that Undertaking. Lets hope for the Best and off course a BIG THANKS to all GFWA members and everybody whosoever, directly or indirectly putting their efforts to make Greater Faridabad liveable City. I just joined this group as i also purchased a house in Piyush heights. With so many things going on, i am serious concerned about whats going to happen next in the project. Would the material used in the project be of the same quality as it should be. I am also concerned that if they would be able to complete the project as agreed by them in the court. They havent been able to complete the project for the past 3-4 yrs,would they know be able to complete the entire project in 3 months. Do they have the resources to complete it ? Has anyone seen any progess in the way the work is being done. The team hasn't been able to upload the pictures. If any one has any update pictures of the projects do share the same. mb300707 wrote: Good news Dheeraj Ji. 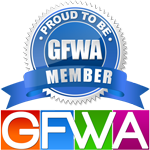 Thanx to all GFWA members for their collective efforts. Will they complete the Full project in 3 Months or some towers only. 2 BHK, O Block, 9th March 2013. Had a word with Marketing guy, They will deliver only 3 towers which are ready in 3 month, Rest of the towers would be delivered in phases. (I guess) So it may take another 1-2 years for the whole project to get delivered.